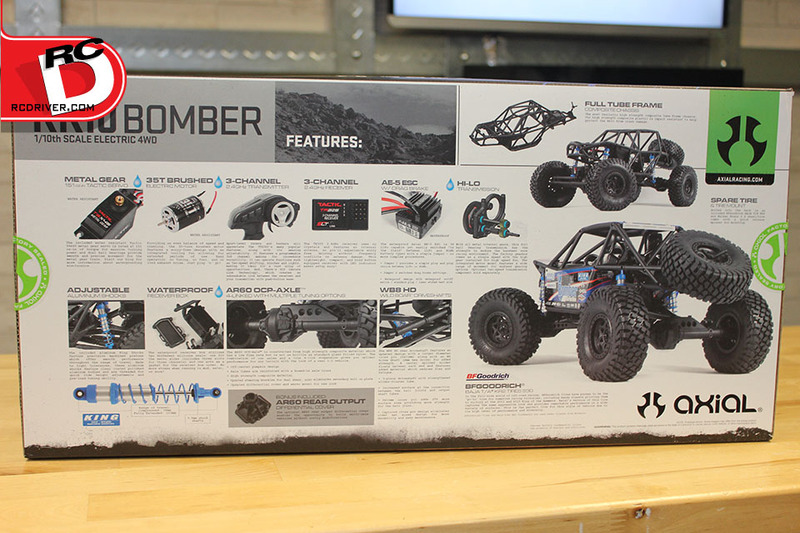 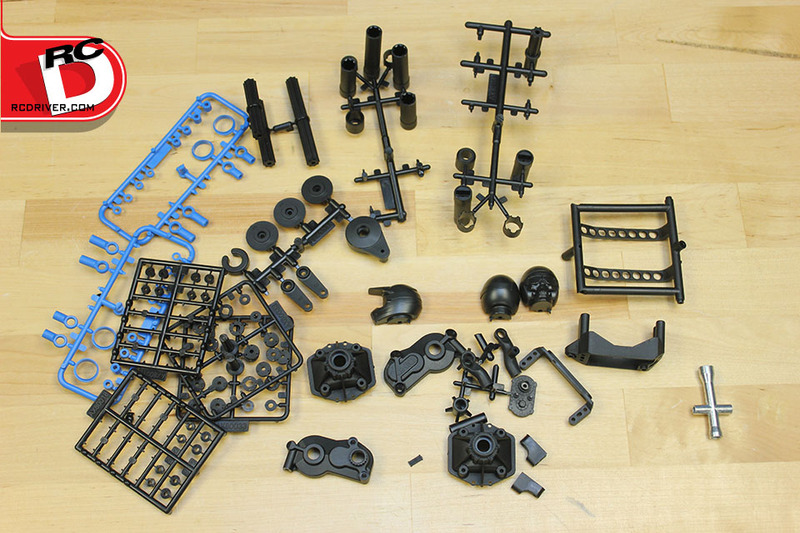 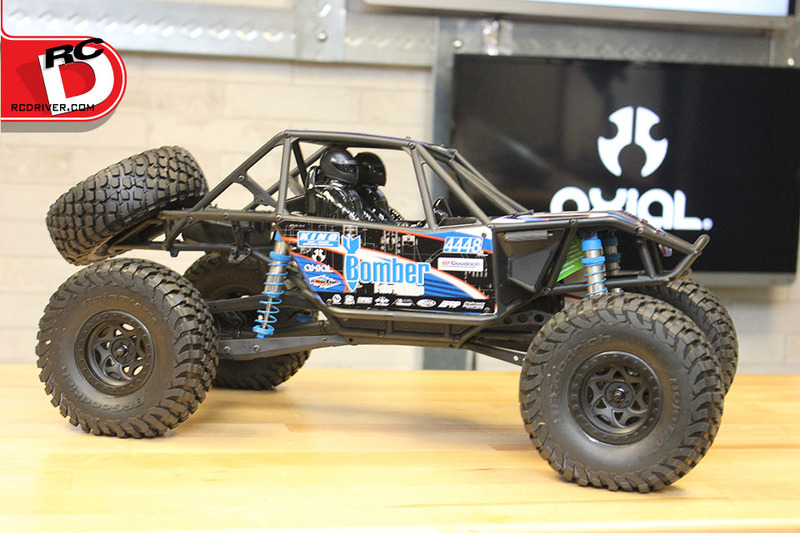 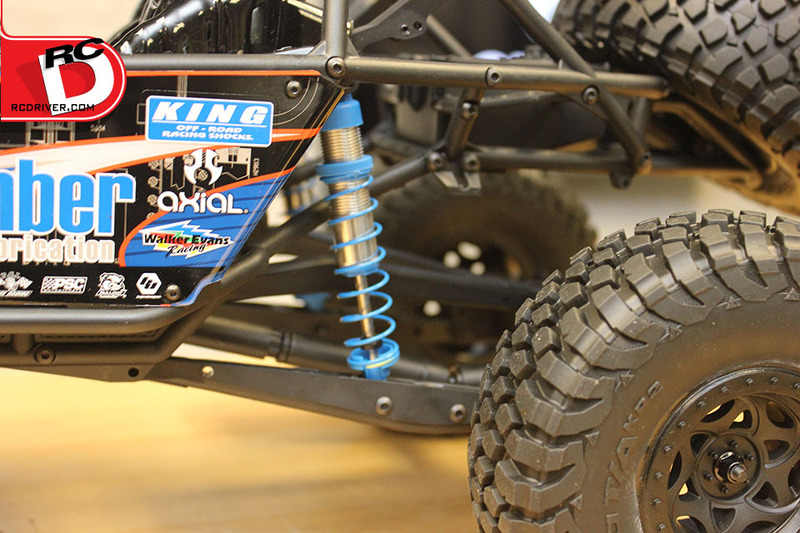 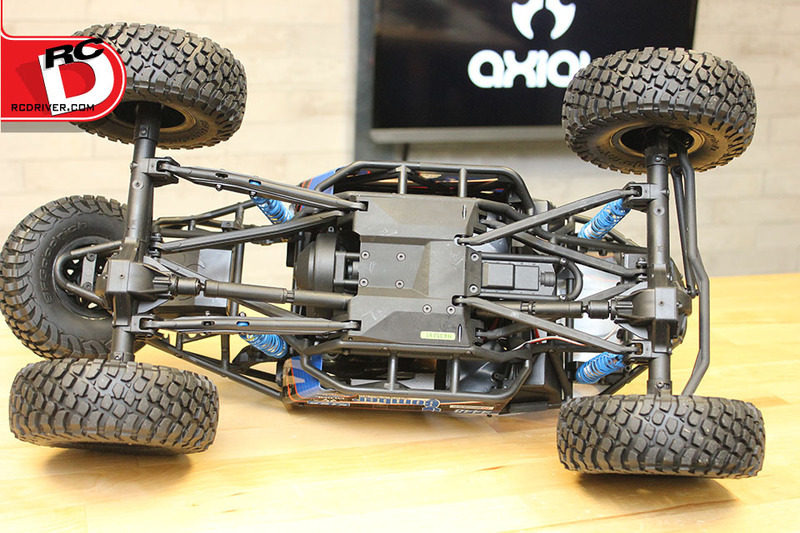 Axial Racing is at it again, dishing out more high-powered off-road goodness. 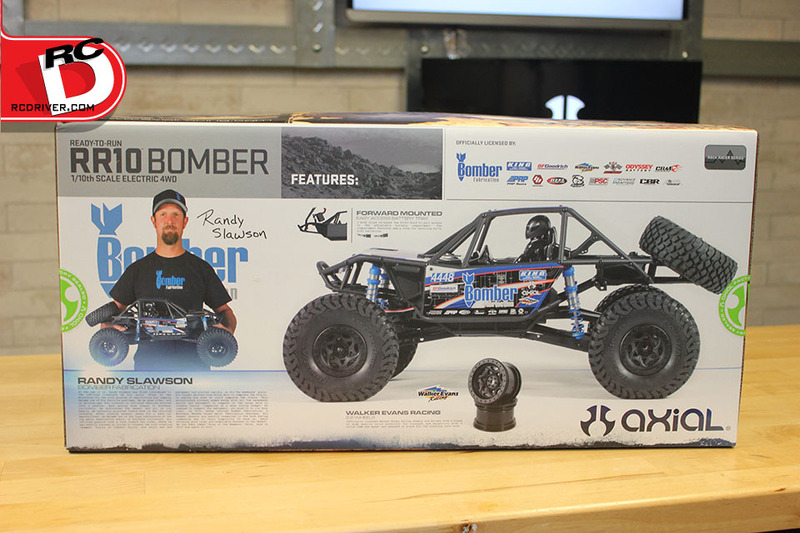 This time they hit us with another rock racer, with realistic scale modeled after two time King of the Hammers champion Randy Slawson’s Bomber Fabrication rig. 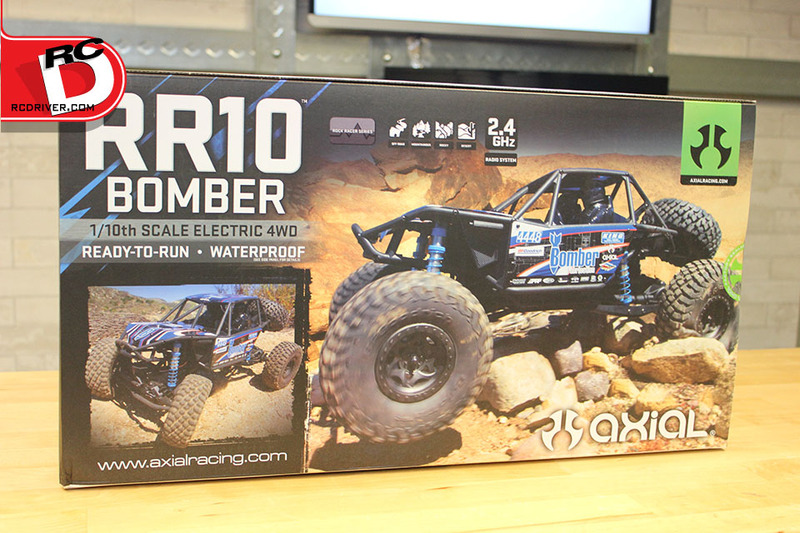 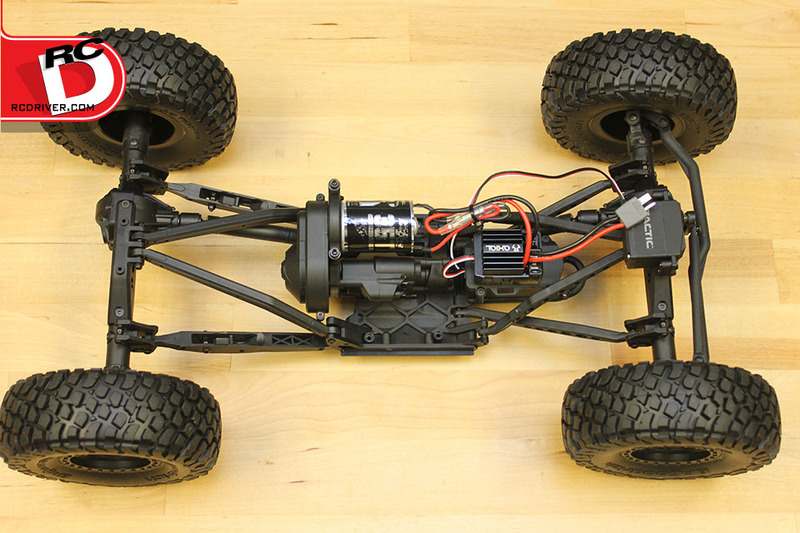 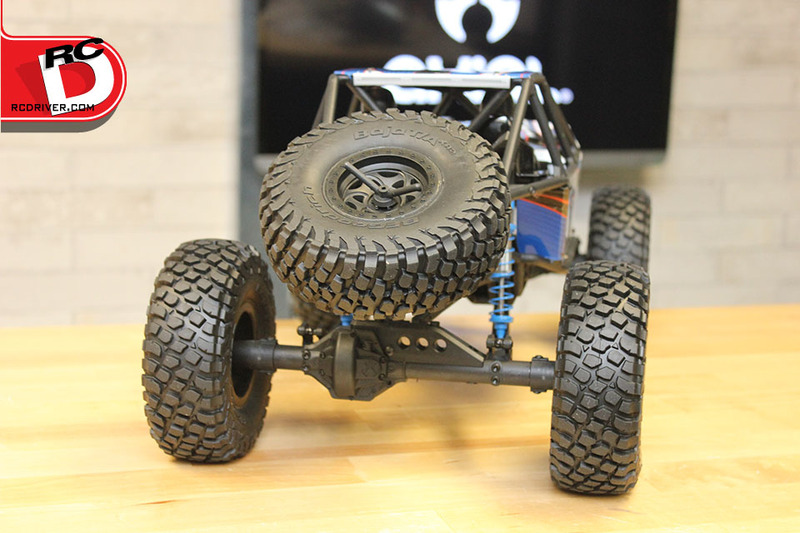 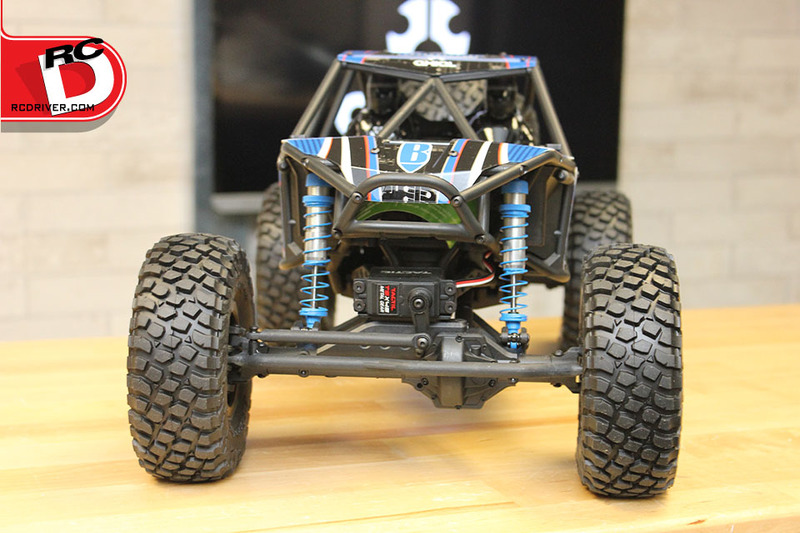 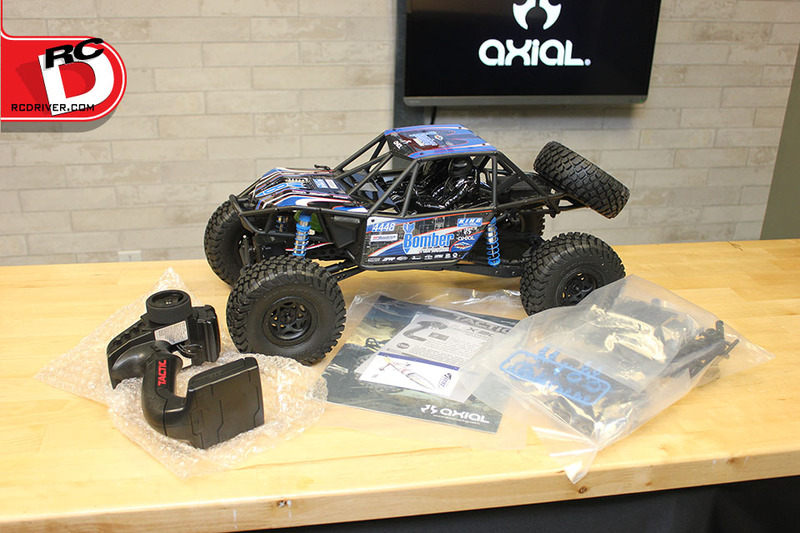 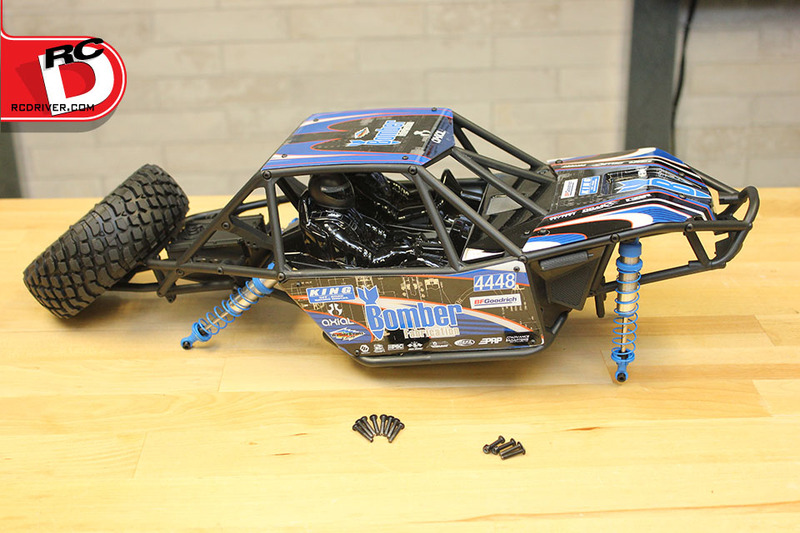 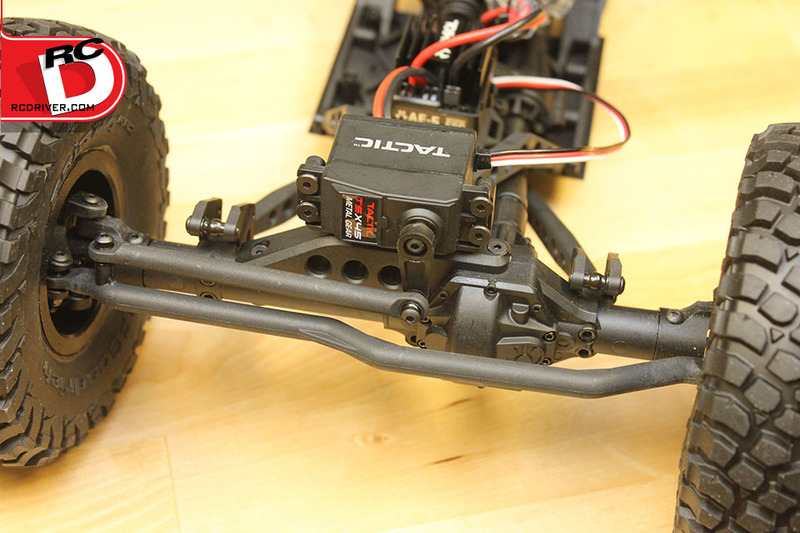 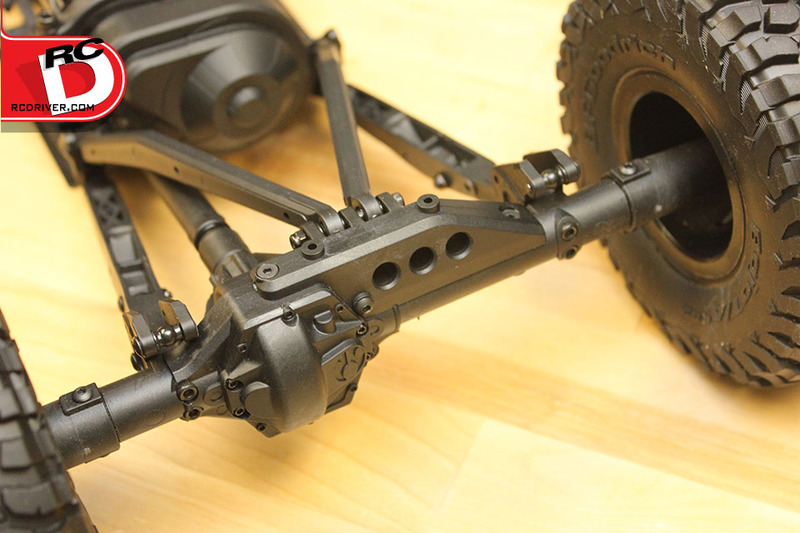 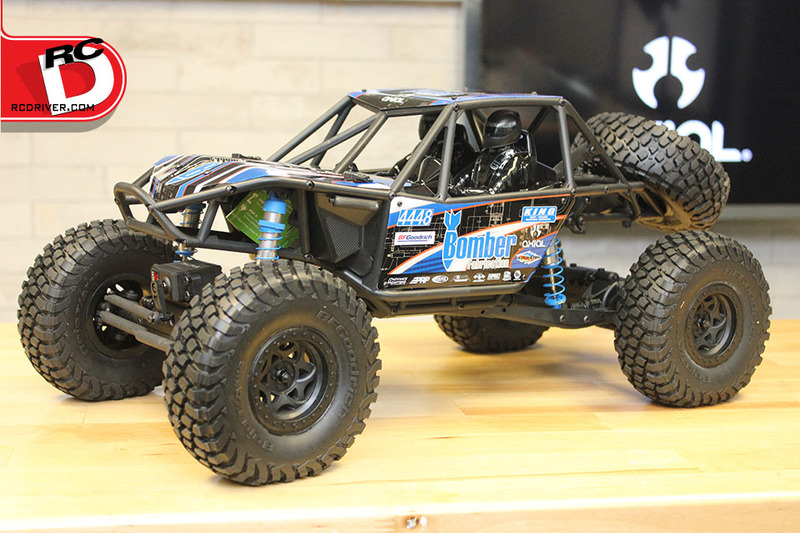 Axial loaded the RR10 with new features that will make driving and standard maintenance fun and a breeze. 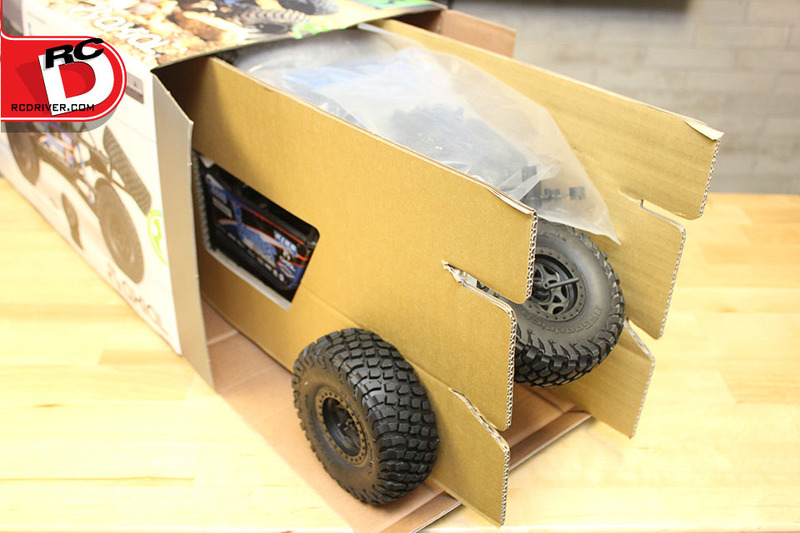 We have the truck on the RC Driver Reveal bench for some unboxing photos. 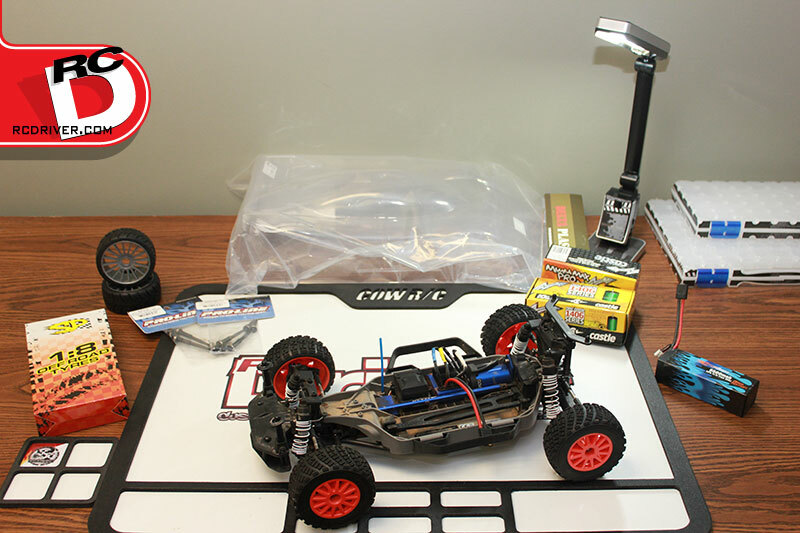 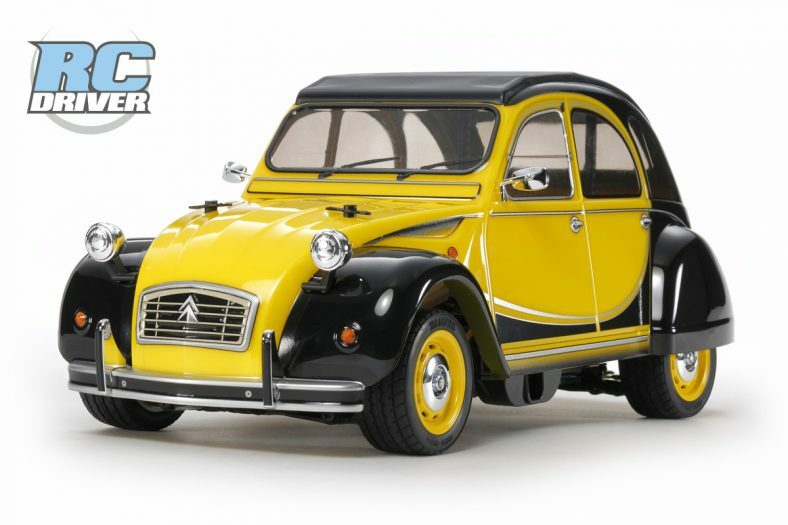 What’s in the box: Assembled vehicle with motor and electronics installed, 2-channel 2.4gHz radio, painted body, miscellaneous spare parts and manual. 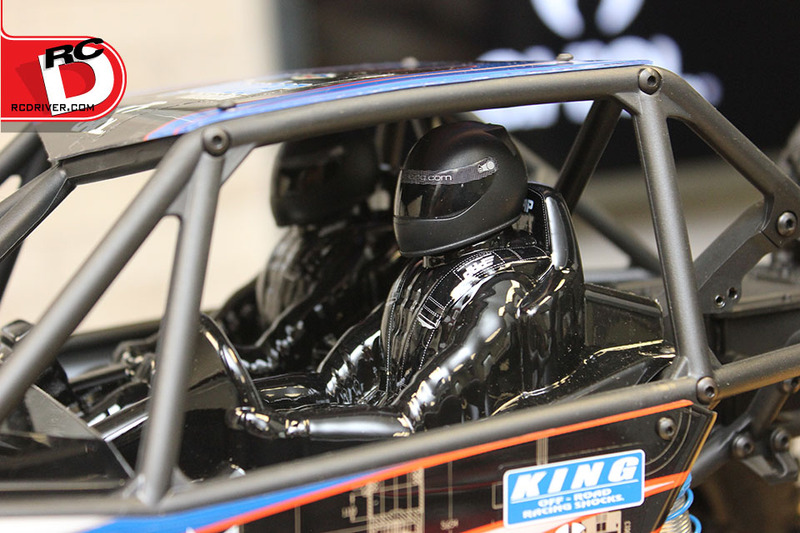 A few quick notes before we get to the photos. 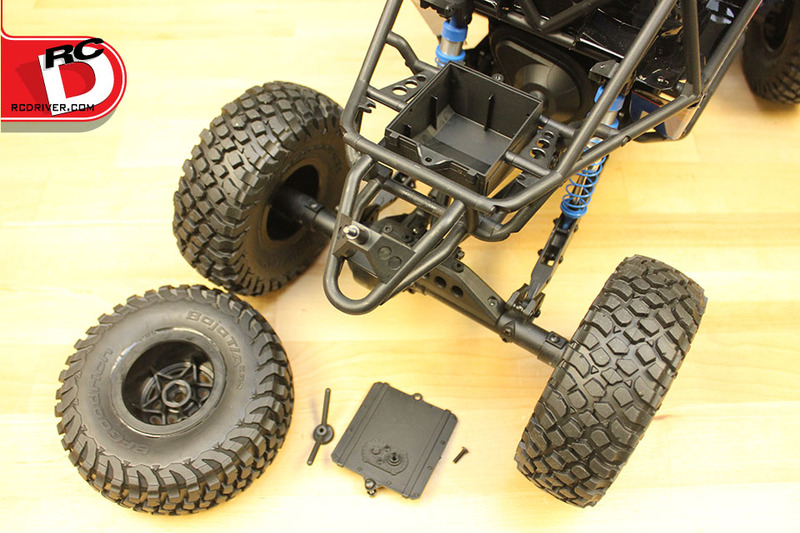 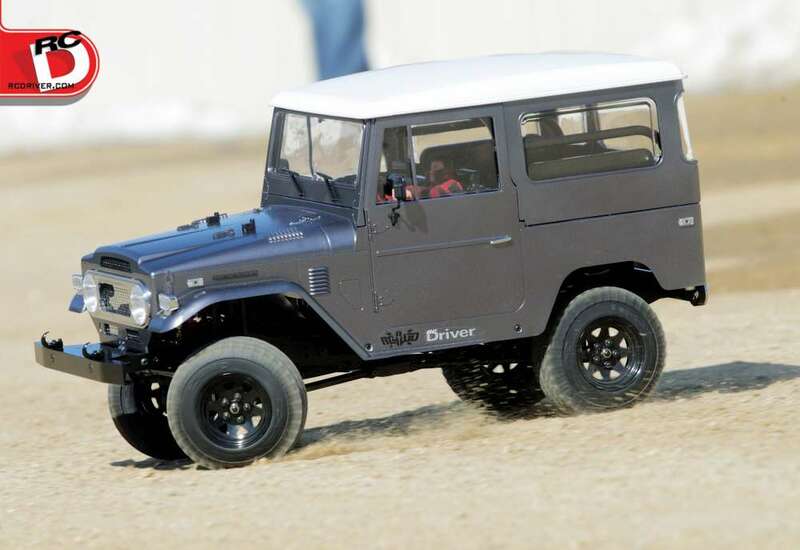 – The new forward position battery box is not only easy to get to by hinging up the hood of the rig, but is functional too by placing more weight over the front of the RR10. 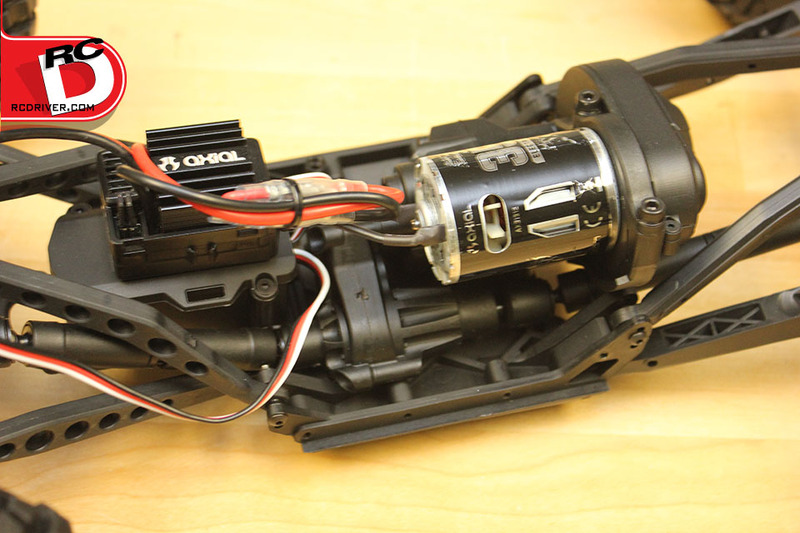 – We pulled the tube cage style chassis off of the bottom center plate with ease using a powered screwdriver. 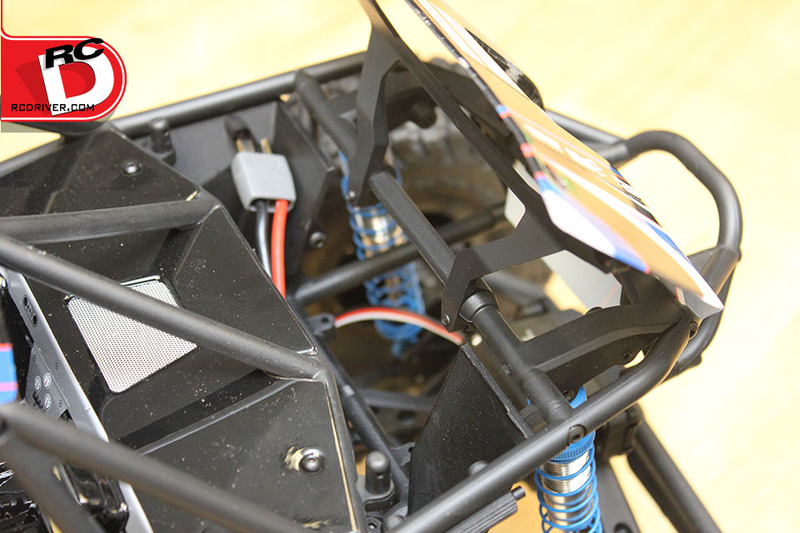 So getting inside the rig for maintenance is much easier. 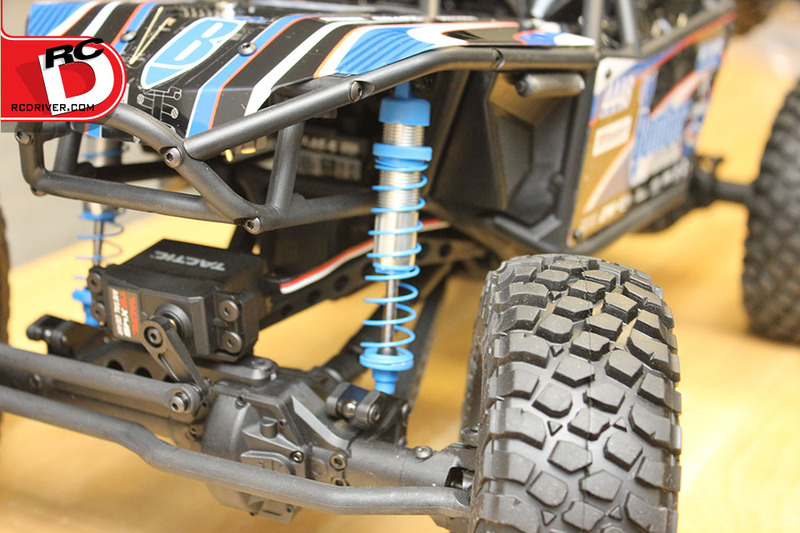 – This isn’t a fixed position suspension set-up rig, there are plenty of optional holes to mount links and shocks to tune the suspension. 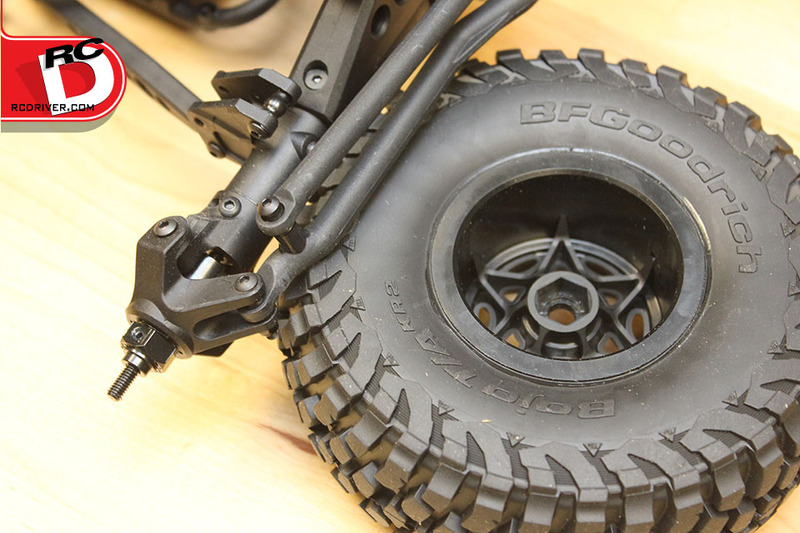 – There are lots of cool scale details found all over the rig. 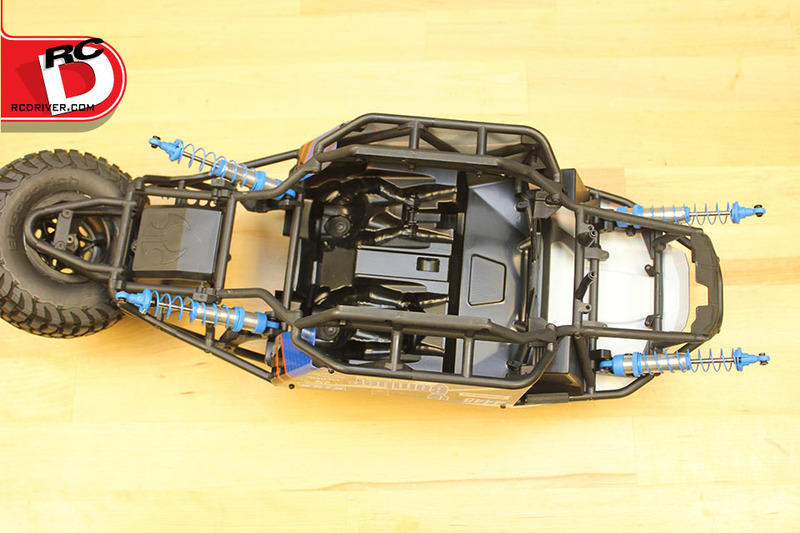 Fuel cell, interior shell with optional driver heads, and the frame is a licensed Bomber Fabrication scale tube chassis. 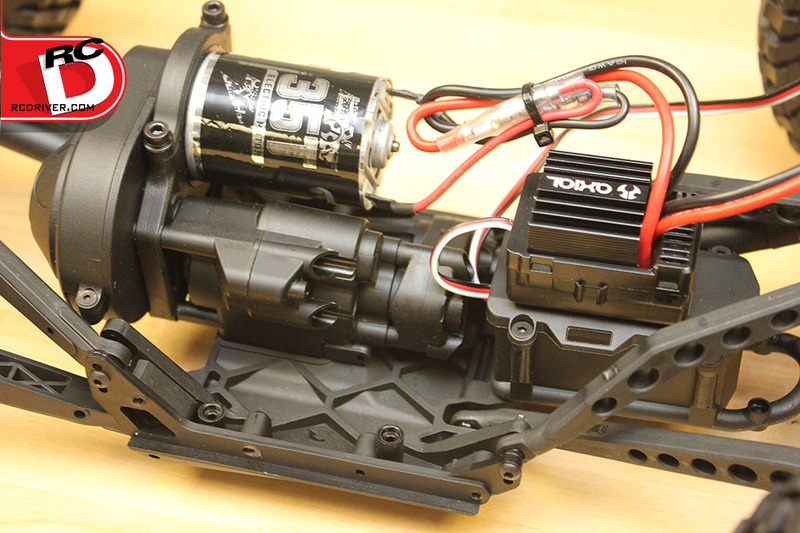 – A tactic TTX300 radio comes with the RR10, good stuff and the ESC is also fitted with a Star plug for high current applications. 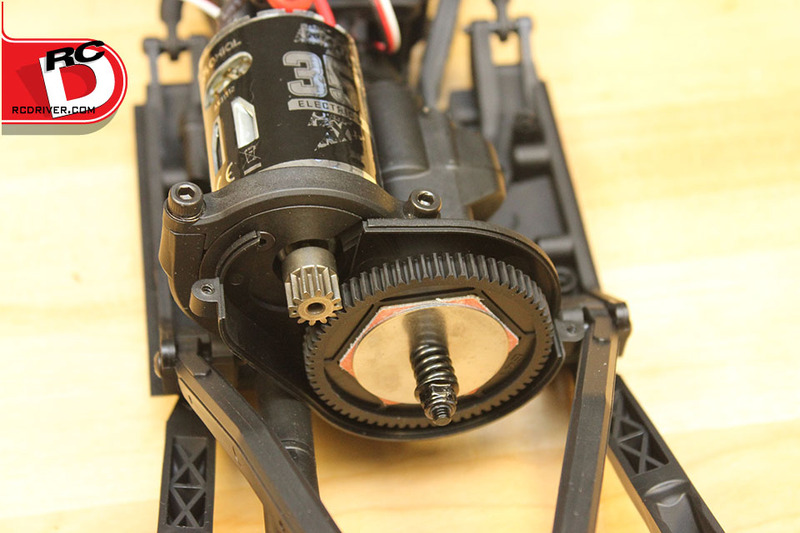 The 35T motor offers the right amount of speed and torque. 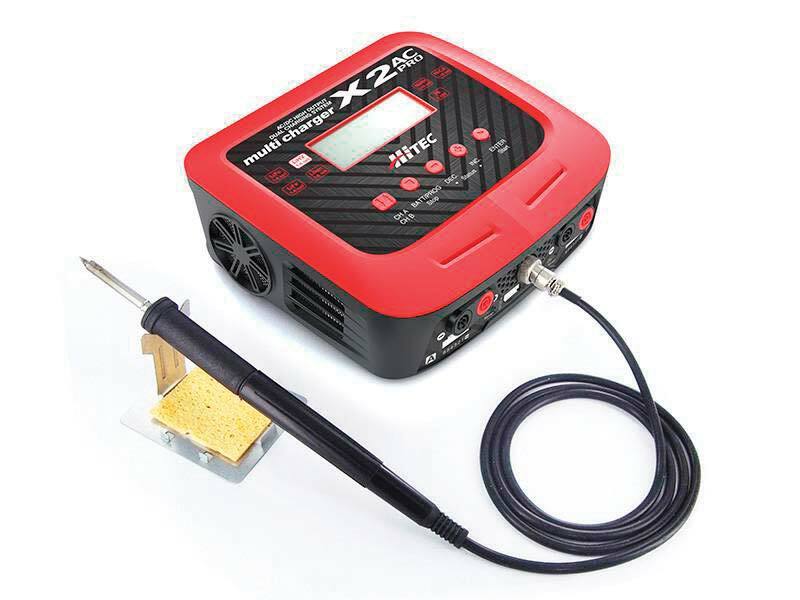 But most importantly all of the electronics are water resistant. 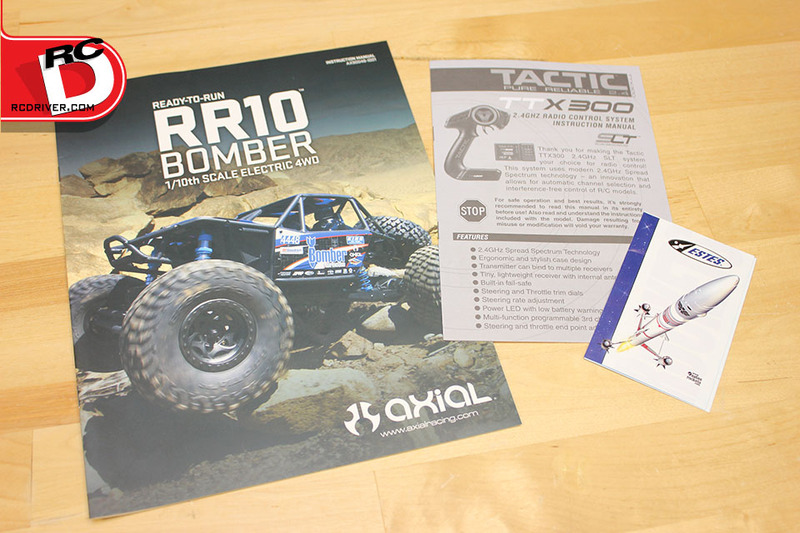 There are certainly plenty more noteworthy features on the RR10 Bomber that you’ll want to see. 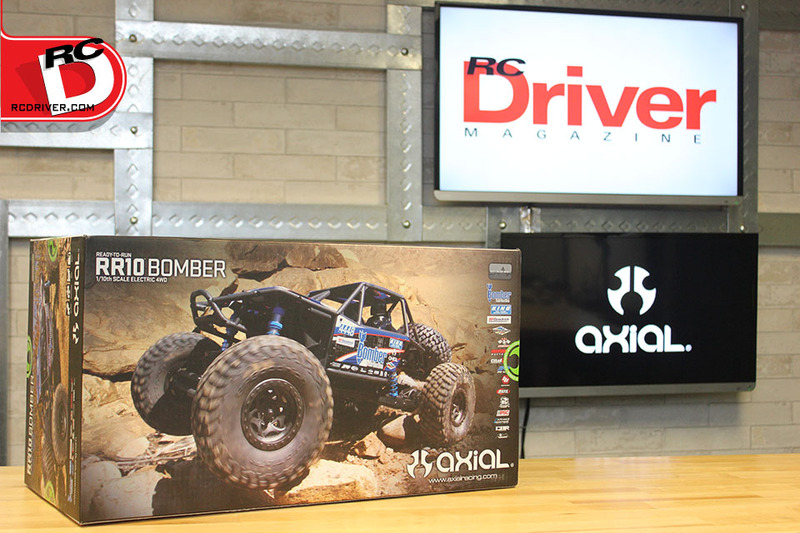 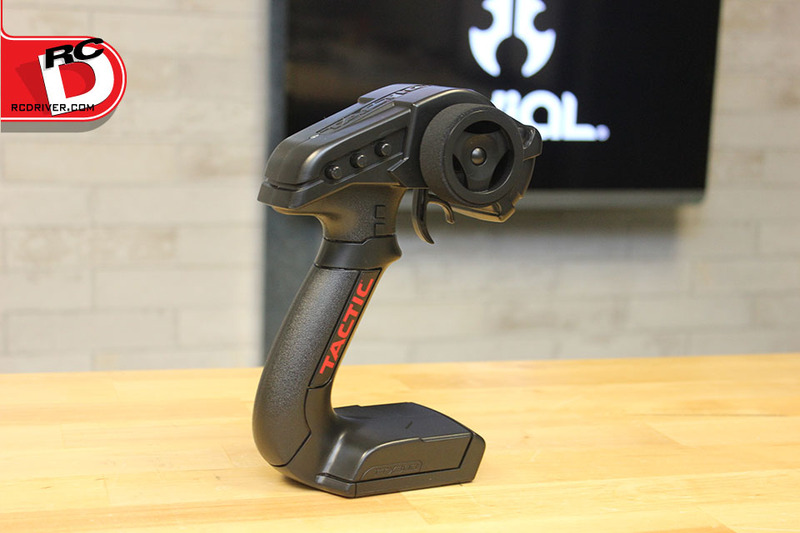 We have our rock racing expert Ty Giebel testing out this new rig as we speak, so make sure to check out an upcoming issue of RC Driver magazine for his expert review of Axials latest rock racing release.